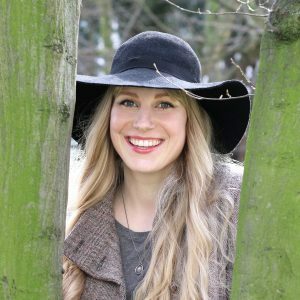 My Green Closet is a youtube channel, blog, and community for slow fashion, green beauty, and living more consciously. My Green Closet is community supported through Patreon. Verena (Erin) Polowy has a Bachelor of Fashion Design and Technology, and it was through her studies that she started to learn about the harmful aspects of fashion. Questioning her decision to be part of such a destructive industry, she knew she had to find a way to advocate for, support, and work towards more sustainable and ethical practices. To share her interest in sustainable fashion and her journey to build a more conscious wardrobe and lifestyle, Erin created My Green Closet as a platform for content related to eco and ethical fashion, capsule wardrobes, natural beauty, minimalism, the fashion industry, and generally living greener. Erin is Canadian and grew up in Edmonton, Alberta which she recently moved back to after living in Germany for the last few years. Proud member of Ethical Writers & Creatives.